I love spicy Mexican food. 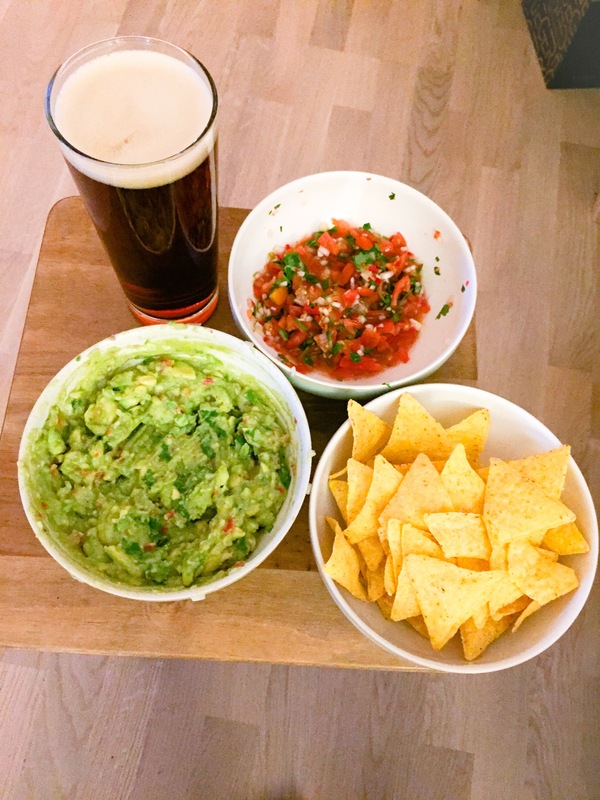 I particularly love guacamole, especially my homemade version. It is very fresh and so simple to make. The spiciness of it can altered to your preference so I am keeping it fairly mild in the recipe and then further chilli can be added! In Norway Friday’s seem to be taco Fridays! For a country which is not known for liking spicy food in every supermarket there is always a huge section for Mexican food. Avocados in Norway are amazing, you buy them fully ripened so no waiting for a week hoping that by the end of the week they will be edible. Simply buy and use the same night, fantastic! I think for this reason I have been eating a lot more avocados since moving to Norway. Handful fresh coriander, roughly chopped. Place the onion, juice of 1 lime, tomato and chilli into a bowl, mix, and leave to sit for 10-15 minutes (this causes the lime to start to soften the onion slightly). Add the avocado and with a fork mash together to the smoothness you prefer (I enjoy mine really chunky). Add the coriander, mix, then add salt and pepper to taste and any more lime juice if you like! This sounds delicious! How lucky to be able to buy ripe Avocado’s too!